Stem Cell Therapy (SCT) is the treatment of various disorders, non-serious to life threatening, by using stem cells. These stem cells can be procured from a lot of different sources and used to potentially treat more than 80 disorders, includingStem cells from a donor either from \ <a data-cke-saved-href="\" href="\&quot;http://stemcell.geneticconferences.com/\&quot;" style="\&quot;box-sizing:" border-box;="" background-color:="" transparent;="" color:="" rgb(185,="" 134,="" 66);="" text-decoration:="" none;\"="">Degenerative disorders arise from degeneration or wear and tear of bone, cartilage, muscle, fat or any other tissue, cell or organ. This could occur due to a variety of reasons, but it's normally the process known as aging, or 'getting old' that is the biggest cause. The disorders have a slow and insidious onset but once contracted, can be long-standing, pain-staking and lifelong. These disorders can affect any organ of the body. The common degenerative disorders are diabetes, osteoarthritis, stroke, chronic renal failure, congestive cardiac failure, myocardial infarction, Alzheimer's disease, Parkinson's disease etc. Cancer stem cells are cancer cells (tumor cells) that possess characteristics associated with normal stem cells, specifically the ability to give rise to all cell types found in a particular cancer sample. CSCs are therefore tumorigenic (tumor-forming), perhaps in contrast to other non-tumorigenic cancer cells. CSCs may generate tumors through the stem cell processes of self-renewal and differentiation into multiple cell types. Such cells are hypothesized to persist in tumors as a distinct population and cause relapse and metastasis by giving rise to new tumors. Therefore, development of specific therapies targeted at CSCs holds hope for improvement of survival and quality of life of cancer patients, especially for patients with metastatic disease. The stem cell niche is the in vivo microenvironment where stem cells both reside and receive stimuli that determine their fate. Therefore, the niche should not be considered simply a physical location for stem cells, rather as the place where extrinsic signals interact and integrate to influence stem sell behavior. These stimuli include cell-to-cell and cell-matrix interactions and signals (molecules) that activate and/or repress genes and transcription programs. As a direct consequence of this interaction, stem cells are maintained in a dormant state, induced to self-renewal or commit to a more differentiated state. Adult stem cells, like all stem cells, share at least two characteristics. First, they can make identical copies of themselves for long periods of time; this ability to proliferate is referred to as long-term self-renewal. Second, they can give rise to mature cell types that have characteristic morphologies (shapes) and specialized functions. Typically, stem cells generate an intermediate cell type or types before they achieve their fully differentiated state. The intermediate cell is called a precursor or progenitor cell. Progenitor or precursor cells in fetal or adult tissues are partly differentiated cells that divide and give rise to differentiated cells. Adult stem cells are rare. Their primary functions are to maintain the steady state functioning of a cell-called homeostasis-and, with limitations, to replace cells that die because of injury or disease. Embryonic stem cells are obtained from the inner cell mass of the blastocyst. They can give rise to every cell type in the fully formed body, but not the placenta and umbilical cord. These are incredibly valuable because they provide a renewable resource for studying normal development and disease, and for testing drugs and other therapies. Human embryonic stem cells have been derived primarily from blastocysts. Embryonic stem cells possess the capacity to divide for long periods and retain their ability to make all cell types within the organism. These are termed pluripotent stem cells. The undifferentiated embryonic stem cells are next stimulated to differentiate into the desired type of cell. For this, the cells are allowed to clump together to form embryoid bodies. This helps them differentiate spontaneously. They make nerve cells, heart cells, brain cells, muscle cells and other types of cells. 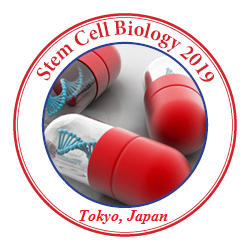 The fields of stem cell biology and regenerative medicine research are fundamentally about understanding dynamic cellular processes such as development, reprogramming, repair, differentiation and the loss, acquisition or maintenance of pluripotency. Whereas bioinformatics is used to interpret the information produced by such technologies. In order to precisely decipher these processes at a molecular level, it is critical to identify and study key regulatory genes and transcriptional circuits. Modern high-throughput molecular profiling technologies provide a powerful approach to addressing these questions as they allow the profiling of tens of thousands of gene products in a single experiment. Whereas bioinformatics is used to interpret the information produced by such technologies. Ethical issues are commonly present in many aspects of Biobanking. The fact that Bio banks deal with human samples, invading an individual autonomy or limiting self-control, provokes a number of ethical issues. Who is competent to give informed consent and donate a sample? When individuals donate part of their body to a bio bank, how is that human sample processed? Who is the owner of the sample? Who should decide how it should be used? Who has the right to know individual results of research? These and many more ethical dilemmas exist in the ethical framework of bio banks. With the recent rapid developments in Biobanking, all of these issues are magnified with plenty of further new questions continuously arising. Ethical framework has been the most controversial issue in the domain of bio banking. Thus, it is not surprising that there is a substantial literature focusing on ethical dilemmas in bio banking, such as informed consent, privacy, protection, and returning of results to participants. For many years, researchers at CRB have provided constructive advice on how to deal with ethical aspects of research using human tissue material and personal data. For more than 80 years tissue has been derived from human bodies, stored, distributed and used for therapeutic, educational, forensic and research purposes as part of healthcare routine in most western countries. Human beings suffer from a myriad of disorders caused by biochemical or biophysical alteration of physiological systems leading to organ failure. For a number of these conditions, stem cells and their enormous reparative potential may be the last hope for restoring function to these failing organ or tissue systems. To harness the potential of stem cells for biotherapeutic applications, we need to work at the size scale of molecules and processes that govern stem cells fate. Nanotechnology provides us with such capacity. Therefore, effective amalgamation of nanotechnology and stem cells - medical nanoscience or nanomedicine - offers immense benefits to the human race. stem cell nanotechnoogy research focuses on several important areas such as stem cell visualization and imaging, genetic modifications and reprogramming by gene delivery systems, creating stem cell niche, and similar therapeutic applications.